Editor’s note: This is the first of a series of articles that takes a closer look at entrepreneurs as part of a wider movement for women’s empowerment – a movement comprised of committed, innovative, hardworking and resourceful individuals juggling work and home responsibilities, overcoming obstacles and sharing their learnings along the way. Over the next 15 months, Nathan Rauh-Bieri of the William Davidson Institute (WDI) will follow five women participating in the year-long Vital Voices GROW Fellowship as they progress through their training and reflect, stage-to-stage, in their own words, on the program’s approach and evaluate its usefulness to their businesses and their leadership development. At the end, the author hopes to draw some conclusions about what training practices bear replicating within the growing field of entrepreneurship education. This view is not just heralded by women-focused NGOs. Today, large corporations including ExxonMobil, Goldman Sachs, JW Marriot and Walmart have joined to champion women’s economic empowerment initiatives around the world. Women’s social, educational and economic empowerment has recently been bolstered by high-profile figures, from Michelle and Barack Obama to Bill and Melinda Gates, and figures prominently in the Sustainable Development Goals, with Goal 5 being dedicated to achieving gender equality and empowering women and girls. The validity of women’s economic empowerment as a development priority doesn’t rely solely on support by the powerful mainstream, yet this support does seem to signal a changing of the zeitgeist. Gone are the days when organizations could claim to advance human rights or alleviate poverty without the participation of women. No longer merely a niche approach to development, what we see now is a broad-based, decentralized movement. At the forefront of the movement is the Washington, D.C.-based Vital Voices Global Partnership, which carries the slogan “Invest in Women. Improve the World.” With the support of the ExxonMobil Foundation, the founding partner for the VV GROW Fellowship and a longtime supporter of Vital Voices, Vital Voices works with women who lead small and medium-sized enterprises (SMEs) throughout Latin America and the Caribbean, sub-Saharan Africa and the Middle East and North Africa. Over the course of the fellowship – an intensive year-long business accelerator program – fellows progress through a six-phase journey where they receive access to technical business skills, network building and leadership development. Delivered through three distinct stages – (1) global virtual learning, (2) regional in-person training, and (3) individualized growth services and support – Vital Voices aims to amplify fellows’ roles as leaders in their businesses and their communities to ultimately create jobs, stimulate long-term economic growth and produce wider social benefits. If women’s economic empowerment is indeed among the smartest ways to have a positive impact on communities across the globe, we at WDI want to know: What kind of educational programs deliver this outcome? 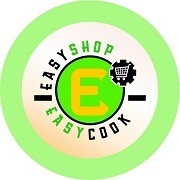 Saudat Salami runs Easyshop Easycook Services Limited, a company which provides customized online fresh food delivery targeted at working women in Lagos, Nigeria, who do not have the time to shop. “(I hope to learn) to better articulate myself to investors. They are investing in you as an SME, and they want to know, ‘Here is a person who can deliver.’ I hope this fellowship can help me do that. We hope to scale to more states in Nigeria, then move out to other African regions in the shortest possible time; this is a five- to 10-year plan. Currently, about 600 households are impacted by our business. That is less than 1 percent of the market. In Lagos, there are about 3 million medium-income households. The market is huge and I believe we have what it takes to position ourselves as the number one fresh food delivery company in Nigeria. I am hoping this program will help serve as a catalyst. Laureen Rwatirera is the vice president of learning solutions at Accelerate Performance Consultants, a training and consulting company she runs with her husband. Based in Johannesburg, Accelerate provides internal human resources and learning and development services to state-owned, nonprofit and for-profit clients. “I’ve been in business since 2011 and I haven’t gotten proper training on how to actually be an entrepreneur and not just a (technical) specialist. I realized that I was probably getting in the way of my own growth in the business: I was focusing more on being a technician than looking at the business holistically. For me, (the fellowship) is to grow; to actually learn how to run a business; and to network with other women who are doing amazing work all around the world. When else am I actually going to get an opportunity to do that? “It’s funny, the people who spend time developing other people don’t always invest enough in their own growth and development. So this fellowship is my space to learn and grow. This is an opportunity for me to get what I need to go to the next level. We don’t want to play small anymore; we don’t want to remain where we are currently; we want to move to the next level. “That is the other thing I’m looking for from the fellowship: To get the skills to set up the business so that when we do get that government business, we can get them to the next level. South Africa, for example, has huge resources; we spend more per capita of our GDP on education than any other African country, and more than most developed countries. But we don’t have enough to show for it; we are ranked among the bottom countries in the world with a really bad system of education. But I think that can be fixed. So that’s where we want to play, that’s where we want to make a difference on the African continent. But in order for us to get there, we really need to set up our business properly. “Being a woman in business is tough, because when you get home, you are still expected to fulfill all the other responsibilities, never mind the fact that you run your business. For me, I would like to have the best of both worlds: I want to be there for my family, and I want to run a business as a woman. The opportunity to connect with other women (in this program) was a huge draw for me because I wanted to learn how to actually do this effectively as a woman. I wanted to be in a space with women who could do both, to feel like, ‘Hey, know what, you’re not alone,’ because largely, as an entrepreneur, you feel like you’re all alone. You don’t have the space to grow and connect like you would in a big business. “In our industry, the people who have been in the business for a long time are big training organizations. There is also a lot of negative perception around small training companies and consulting firms. So it was a challenge starting out because people were like, ‘Who are you?’ We were fortunate because some people actually took a chance on us – and we made sure we delivered. People are looking for quality content. But I think being able to do business development in a way that is sustainable has been a challenge for us. Coming Thursday, we’ll hear three more fellows describe their businesses and aspirations. In October, we’ll check back in with all five fellows to hear about their experiences with the global virtual learning component of the fellowship. The ExxonMobil Foundation is the primary philanthropic arm of Exxon Mobil Corporation in the United States, providing funding globally to improve basic education, promote women as catalysts for development, and combat malaria in developing countries. Vital Voices Global Partnership invests in women leaders who improve the world. It partners with leaders from more than 140 countries who advance economic opportunity, increase political and public leadership, and seek to end violence against women. Nathan Rauh-Bieri is program coordinator of education at the William Davidson Institute at the University of Michigan.